Each year, NACWA recognizes the commitment, innovation and achievements of individuals and public agencies in the clean water community through our Award Programs. Continue to watch this page for updates on application deadlines. The Peak Performance Awards recognizes NACWA member agency facilities for excellence in permit compliance. Award recipients are recognized at NACWA’s Summer Conference and Annual Meeting. The 2016 Peak Performance Awards applications are now available: program information and application packet. The deadline for applications will be COB Friday, 07 April. Reward your staff with Peak Performance Award wear! The National Environmental Achievement Award Program recognizes individuals and NACWA member agencies that have outstanding contributions to environmental protection and the clean water community. Awards are given annually; individuals and agency honorees are recognized at NACWA's February Winter Conference. Federal Public Service honorees are recognized in in the spring during Water Week. The application process for the 2017 National Environmental Achievement Awards has ended. Honorees wiill be recognized at an evening awards ceremony and reception on Monday, February 6, 2017, during NACWA's Winter Conference, Next Generation Compliance ...Where Affordability & Innovation Intersect, held February 4-7, 2017 at the Tampa Marriott Waterside Hotel in Tampa, Florida.. The Excellence in Management Recognition Program was launched in 2003 to acknowledge the significant achievements of NACWA member agencies in the utility management arena. 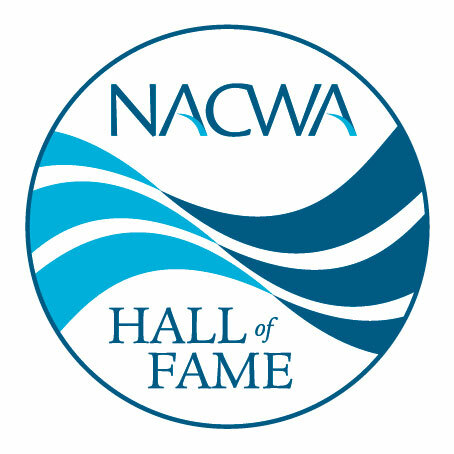 Awards recipients will be recognized at NACWA's Summer Conference. In 2012, NACWA’s EIM Program was enhanced with the addition of Resource Efficiency & Protection Activities to the Ten Attributes of an Effectively Managed Utility and the incorporation of Platinum, Gold, and Silver recognition. The application deadline for the 2016 Excellence in Management Recognition Program has passed. Please check back later for information on the 2017 program.